Description: Digital alarm clock waking up at 7 AM. Close-up view. 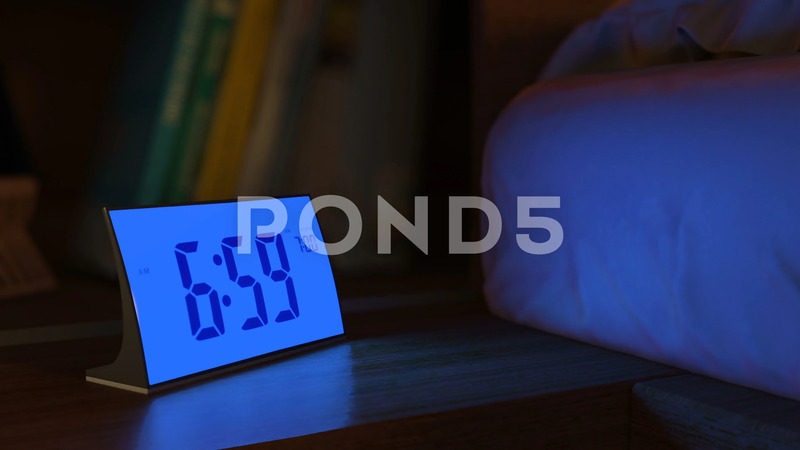 The numbers on the clock screen changes from 6:59 no 7:00 AM. Then alarm logo appears on the screen. 3D rendering animation.